As a newly-minted PADI Divemaster, I am proud to close out 2013 having accomplished a goal that I set for myself several years ago. We all have various reasons for taking that first step to become open water divers, and I enjoy hearing fellow divers talk about what draws them to the underwater world. I find it particularly interesting to learn what motivates divers to continue past their open water certification into advanced training and specialty courses. For me, it’s about being an ambassador for a sport I enjoy sharing with others. As a Divemaster, I can take an active role in helping to certify new divers. Not only can I inspire the uninitiated to sign up for that first PADI course by telling stories of diving in the crystal clear waters of some stunningly-beautiful locales, I can now meet them at the pool and participate as they draw their first breaths underwater. What a deal! 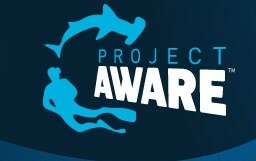 While setting my dive goals for 2014, I was inspired by Project AWARE’s 10 Tips for Divers to Protect the Ocean Planet. Some of the tips focus on fundamentals that tie directly to important PADI Specialty courses – Peak Performance Buoyancy and Digital Underwater Photographer quickly come to mind. But several of the tips contribute to the general theme of being a responsible steward of the ocean environment. I now realize that I need to bolster my own education of the delicate ocean ecosystem and the important efforts undertaken by Project AWARE to protect that environment. So in 2014, I plan to embark on a campaign for knowledge. I’ll start by completing the AWARE Coral Reef Conservation Specialty course. By increasing my awareness of how coral reefs fit into the fragile aquatic realm and what I can do to preserve them, I will become a more effective advocate for Project AWARE’s important causes. And since I’m not able to get away on any of the fantastic upcoming dive trips with Patriot Scuba, I can’t think of a better way to stay connected with diving even as the temperatures drop.